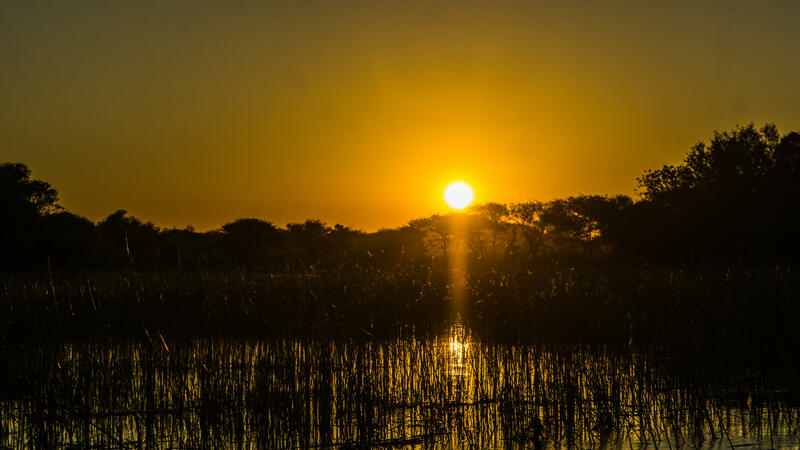 I’m currently in Maun, Botswana (parents live here) and thought I would share, in a series of blog posts, things to do here 🙂 For my first post, let’s take a boat ride to see the sunset of Botswana! 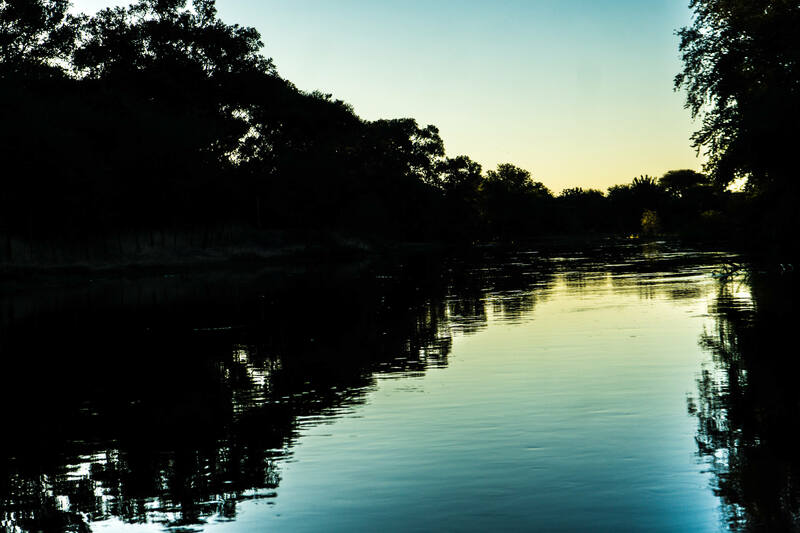 There are many places which take you on a boat ride down the Thamalakane River, which connects to the Okavango Delta. An example is the Old Bridge Backpackers, or what I used in my case, Island Safari Lodge. You can’t go wrong with many of the options available. 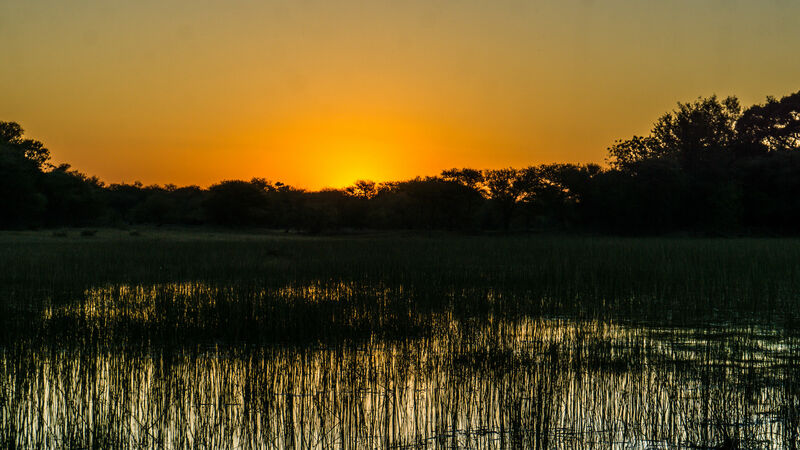 Whether it’s a two-hour trip to see the sunset or a long day trip into the Okavango Delta. The first thing you notice about Island Safari is the beautiful and all natural ride to the lodge down a dusty road about a mile inside. The lodge itself is covered with trees and has many amenities such as a swimming pool, lodging, a bar, dining, and activity center. An amazing view of the river is also the main attraction. The activities include a lot of different things like helicopter rides, game drives, and boat rides. The boat ride was pretty fun. You take a slow ride deep into the river, where you get to see a lot of different animals and landscapes. If you’re into birdwatching, you’ll get to encounter a lot of different birds of the Delta. One of the many birds to see in the rivers. All in all, it’s a beautiful ride and I’ll let the pictures describe what words simply cannot! 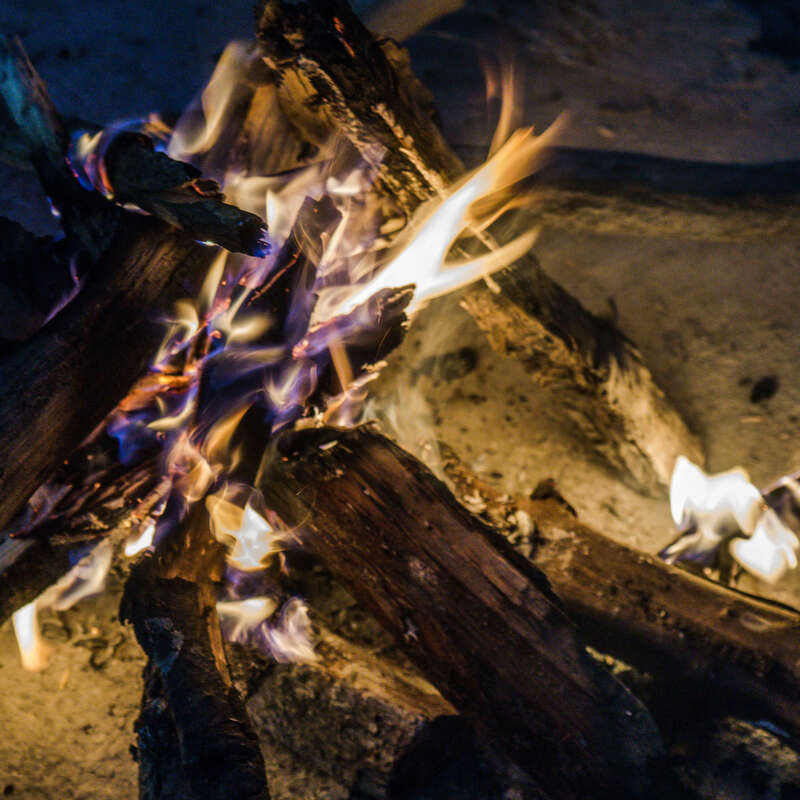 After the boat ride, take a moment to enjoy a small bonfire as you heat up. You can always check out a full range of higher quality pictures at my 500PX Gallery.